Mid-Sweden University, Härnösand, 5-6 April 2013. 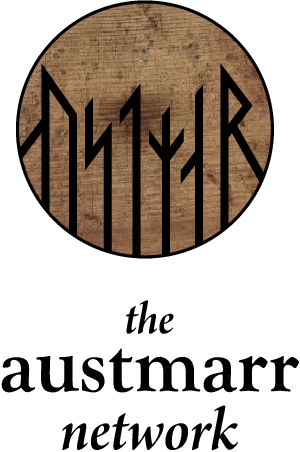 Welcome to Härnösand 5-6 April 2013 and to the third meeting of the Austmarr network! The purpose of this symposium-workshop is to gather scholars from different disciplines working on pre-modern (pre-1500) contacts between the Nordic Cultures and the cultures north and east of the Baltic Sea (e.g. Saami, Karelian, Finnish, Estonian, Latvian and Lithuanian). The symposium will proceed in workshop form with extended discussion periods following each research presentation. The title of the meeting in Härnösand is Historical infrastructure of the Baltic Sea: ways, reasons and consequences. The focus is on the sea itself as a Mare Nostrum of the North, where the Baltic Sea region is considered as a cultural area connected on several levels through history. Possible themes for the workshop include: Ships: Travel, War and Trade; Language: Etymology, placenames and loanwords; Material culture: Archaeological evidence of contacts; Religion: Transformations through time and space, and Politics: Allies and enemies across the water. These themes are to be considered as suggestions; you may propose others to the organizers. Participants are expected to send in abstracts no later than 5th February (approx. 3000 letters incl. blanks). The abstracts should be formulated with possible conclusions, but also with questions to other disciplines to create a multidisciplinary discussion ahead of the workshop. The abstracts may also contain suggested reading to make it possible for the participants to be well prepared when they arrive in Härnösand. At the conference you will have 30 minutes at your disposal for your presentation, followed by 30 minutes of discussion. This follows a modified version of the so-called Tartu model for workshops. The network is also planning a publication, publisher at this point not settled, but the publication will be peer-reviewed and in English. The articles in the volume will be selected from the three meetings of the Austmarr network. Please contact us if you have a topic for an article suitable for publication in a Austmarr publication. Accomodation and travel to the workshop: for those of you who are traveling from outside of Sweden the most convenient way to travel to Härnösand is to arrive at Midlanda airport and take an airport taxi (which could be shared with other participants) to Härnösand. Information regarding reasonably priced hotels and hostels in the city will be provided later. Welcome to Härnösand in April 2013!